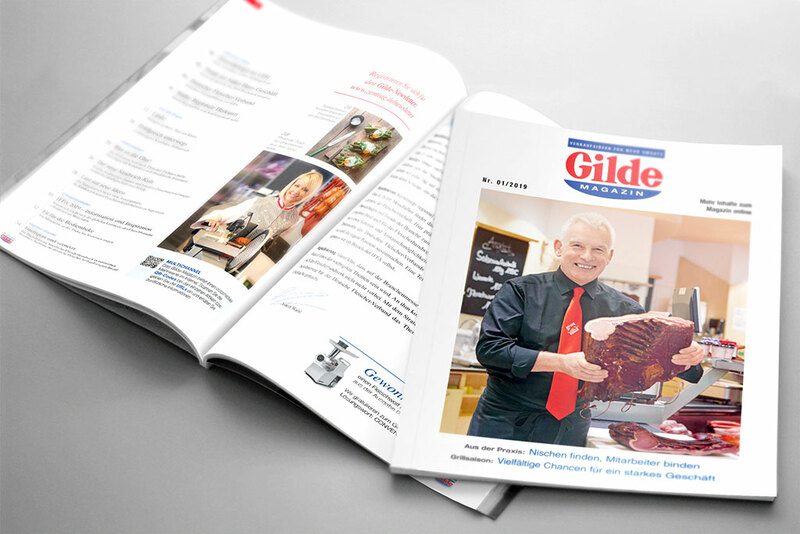 Promotion ideas, trends, success stories and offers – the Gilde Magazin knows what butchers are interested in. Gilde Magazine tells exciting stories from other butcher shops, practical merchandising suggestions and the latest trends in our trade. It is published three times a year, the editor is ZENTRAG eG. Its declared aim: to provide sustainable support of the butcher trade in purchasing and sales. Here you get an over-view of the top-items and publication dates of Gilde Magazin 2019. Snack business: pep them up! You’re interested in placing an ad with Gilde Magazin? We will be more than pleased to advise you in a non-committal manner. Just get in touch with us.